March has been a busy month for the Livery and the Lightmongers. Amongst events I have attended were invitations from the Builders Merchants, Spectacle Makers, and Tallow Chandlers. It is always interesting to find common themes. The Builders Merchants are very much linked to the construction industry, as is lighting. The Spectacle Makers are involved in optics and the working of the eye, as are Lightmongers. And Tallow Chandlers is our spiritual home so we were discussing the improvements in the lighting to the Hall which makes for a better atmosphere. It is also interesting to visit the various livery halls in the city which I have so far not seen. 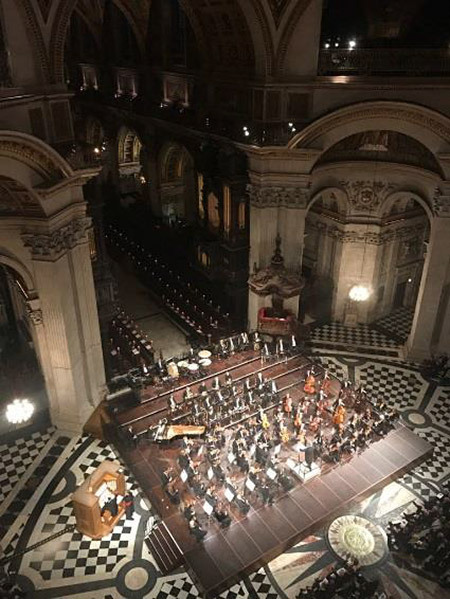 On the 14th March we attended a Gala Concert by the Choir and the London Symphony Orchestra at St Paul’s Cathedral. This was in aid of the Lord Mayor’s charities. The attraction was to hear the Lord Mayor play the organ for the Saint Saens Symphony No3 in C minor (Organ). Entering the cathedral at night is a totally different experience, and a chance to see the work Mark Major did with the lighting. The surprise of the evening was the entrance of the Lord Mayor himself, flanked by pikemen striding up the aisle towards the Organ. We left the cathedral realising that once again the Livery had created a really unique event which we were privileged to have been part of. This was followed at the end of the week by our Members and Guests Dinner at Drapers’ Hall. This is one of the larger halls in the city and we filled it with both Lightmongers and their guests. Sitting at the head of such a dinner gives a unique perspective on the evening and my drink was strictly limited until the speeches were over. This is traditionally the evening when we give our awards to our Military affiliations. We were pleased to have Commander Giles Palin RN from HMS Queen Elizabeth, Squadron leader Andy Bucknall from 606 (Chiltern) Squadron and Lt Col Richard Hawkins from 579 Squadron, 101 Regiment making the citations for the award winners. 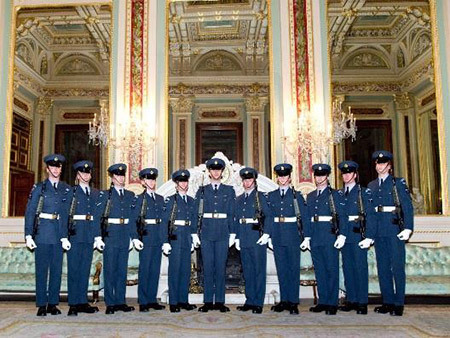 The Queen’s Colour Squadron gave a gun display during the meal; the lights went off and they appeared with illuminated wristbands that changed colour with the music. This display had been specially choreographed for the evening and created quite a stir. Many warm thanks were received for an excellent evening. The Mistress Lightmonger has also been busy attending functions with me or on her own. Due to travelling I was unable to attend a lunch given by the Lady Mayoress to all the supporters of the Luminaire Design Competition. 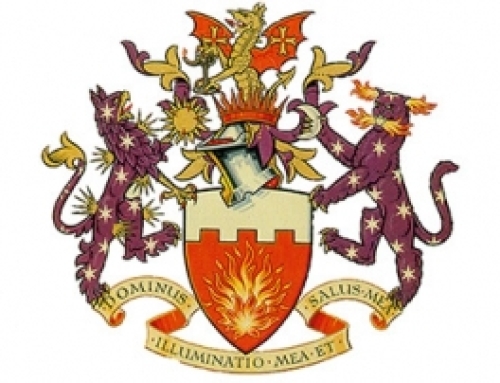 We are particularly grateful to Deputy Master John Rowsell for the donation of the prize. So one last reminder that entries are due in by the 26th April and full details can be found on the Mansion House web site. Please encourage any students you know with an interest in design to make an entry. We were also pleased to attend the Masters & Mistresses Banquet at Mansion House at the invitation of the Lord and Lady Mayoress. This is an annual invitation to all Masters and their partners and is one of the highlights of the livery calendar complete with pikemen and trumpeters to add to the ceremony. 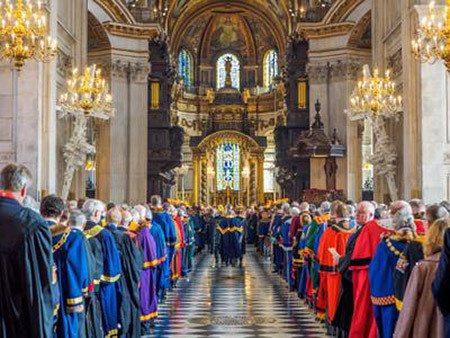 The following day was the United Guild Service at St Paul’s Cathedral. All the livery companies turn out for the service and with all the gowns flowing we make quite a sight. 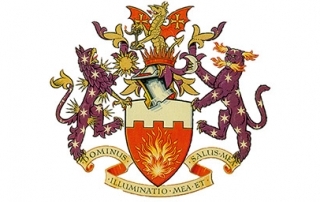 This is a service that any Lightmonger Liveryman can attend up to our quota and I would definitely recommend it if you can spare an hour. You can’t describe the atmosphere when a 2000 strong congregation sing both verses of the national anthem with a fanfare (some secretly were checking the words for the 2nd verse!). The month concluded with a rather special event, maybe unique in livery history. The Court had conferred the honour of Honorary Liveryman on Commodore William John Keegan OBE RN. John was a great supporter of Lightmongers and our affiliation with the Navy. Unfortunately he was not well enough to attend the clothing ceremony at a regular court meeting. The Court therefore convened at the house of Past Master Patricia Brain which is close to where John lives. Complete with robes, sceptre and charter we recreated the court setting where John was welcomed as an Honorary Liveryman of the Company. An exceptional event for an exceptional person. Many thanks to Pat for not only hosting the event but for turning her dining room into a temporary court. You will shortly be receiving information on this year’s Lightmongers Lecture on the 14th June 2017 on the theme of ‘Lighting up London’. 7th July – Mansion House Summer Banquet – invitations out soon. 29th – September Junior Wardens Reception – save the date. May I wish you and your families a Happy Easter however you end up spending it.